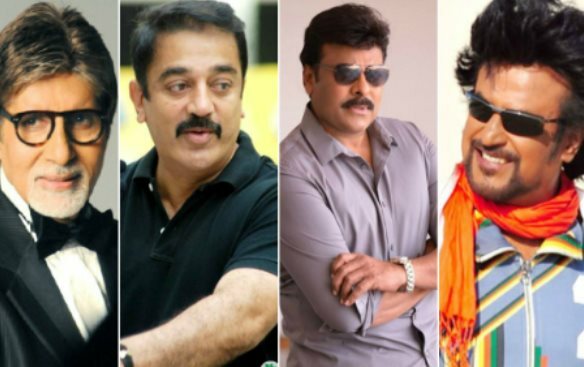 Megastars Amitabh Bachchan and Chiranjeevi are likely to attend the Nadigar Sangam star cricket match organised here on April 17 by the South Indian Film Artistes' Association. "Invitations have been sent to Amitabh Bachchan and Chiranjeevi. We are expecting them to attend the opening ceremony of the tournament," a source from the Nadigar Sangam told IANS on Thursday, adding Tamil superstars Rajinikanth and Kamal Haasan will also attend the event. A total of 48 actors will participate in the tournament, which will feature eight teams. "It will be a knockout-based tournament with six matches," the source added. Nasser, the president of the Nadigar Sangam, had earlier told media that the funds collected from the match will go towards construction of the new building for the Nadigar Sangam. With this in mind, they are making the cricket match as big an event as possible and going all out to get the top stars of Indian cinema together. All the actors of Kollywood are expected to be present at the match. The teams for the cricket match are reportedly going to be named after cities in Tamil Nadu like Chennai, Madurai, Coimbatore, etc. When there is a game there are obviously beautiful women who are brand ambassadors and this cricket match is no different. It is said that top actresses like Samantha, Nayanthara and Anushka have been approached to be brand ambassadors for the match on April 17. The television rights of the event is said to be sold for a whopping Rs.9 crore. He is very promising Future Tamil super super star (All most with great old generation Tamilians talented "super super stars" like Hon. Shivaji Ganeshan, Hon. K amala Hasan, Hon. Ajith, Hon. Vijay, Hon. Suriya, Hon. Sathiya Raj and so on).